A joint venture between Warrington Disability Partnership and the Council, sees Warrington’s first Smart Flat open at the Centre for Independent Living. 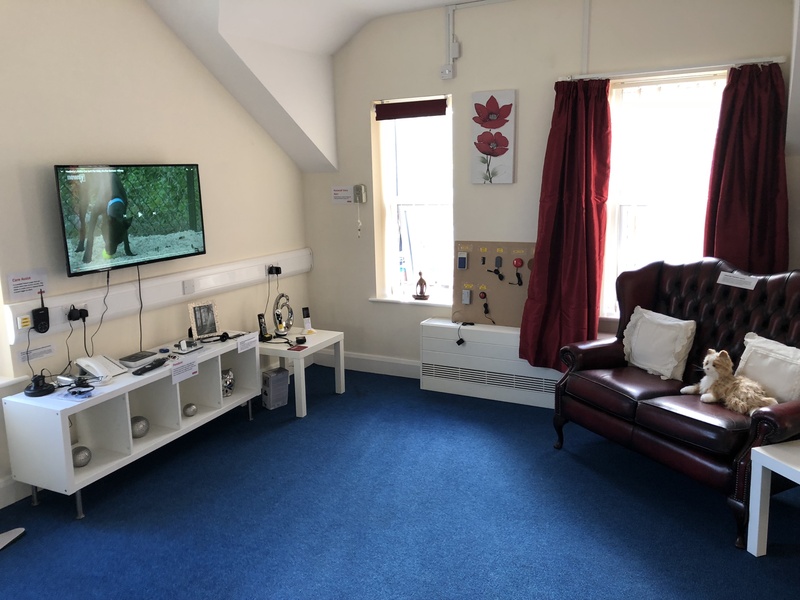 The Smart Flat showcases a range of innovative technology to support people with adult social care needs including technology to monitor movement, improve security around the home, help stimulate appetite, support with taking medication, helping to remain composed and much more. The majority of the new technology is taken from the domestic technology market and wouldn’t be seen out of place in any ordinary home. 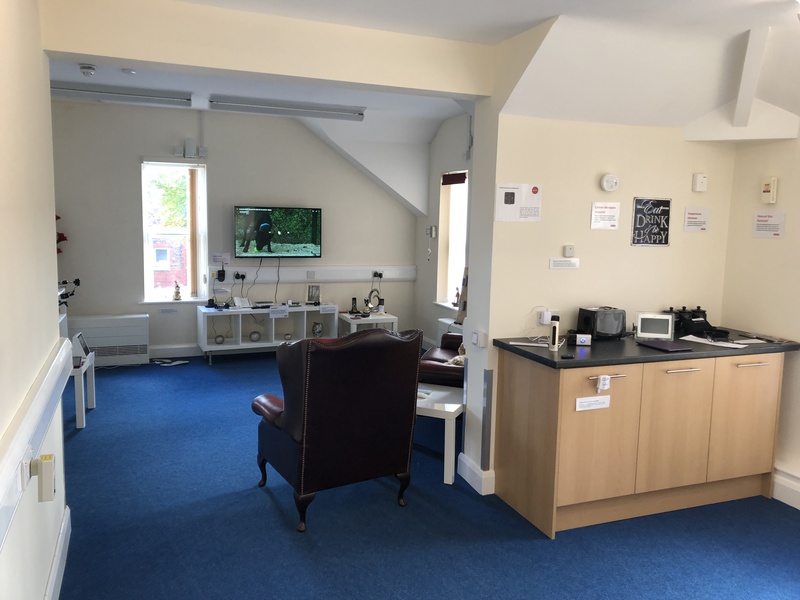 By applying this new technology to an adult social care setting we are opening up new opportunities to support clients, increase wellbeing and improve independence. The majority of this new technology is available to purchase direct from the supplier or high-street retailers at affordable prices. 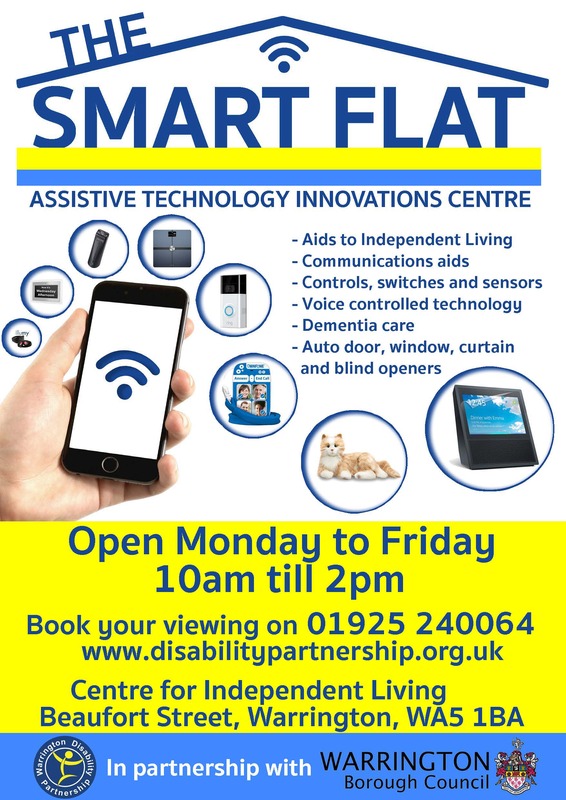 Staff at the Smart Flat will be able to talk you through the equipment best suited to meeting your needs and will be able to help advise on where the equipment and technology can be purchased from or they will refer you to the council if further support is needed. The Smart Flat is open to the public on an appointment basis. Call 01925 240464 to make an appointment to view the range of technology. The Smart Flat is located at the Centre for Independent Living, Beaufort Street, Sankey Bridges, Warrington.